As a mom, Christmas is exhausting. After all the decorating, shopping, baking, cooking, planning and everything else leading up to Christmas morning, I generally just want to serve cereal for breakfast. But come on, it's Christmas so a little festivity would be nice. 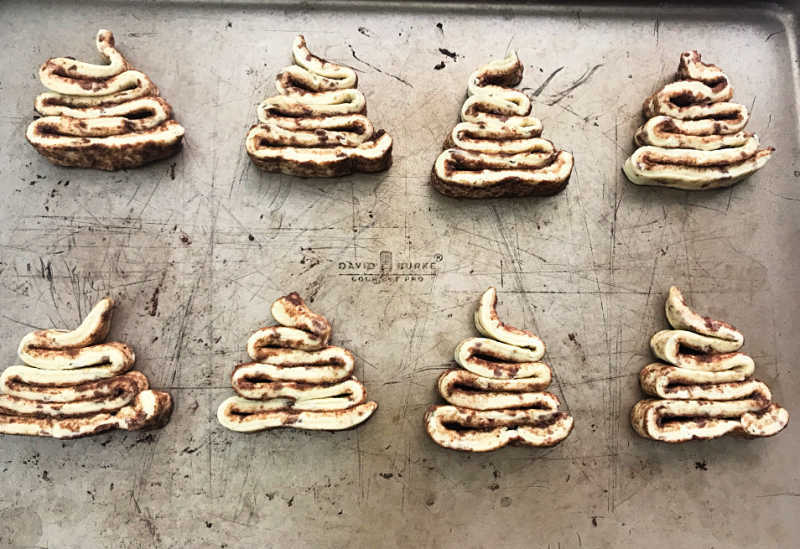 That's why you'll love these cinnamon roll Christmas trees. 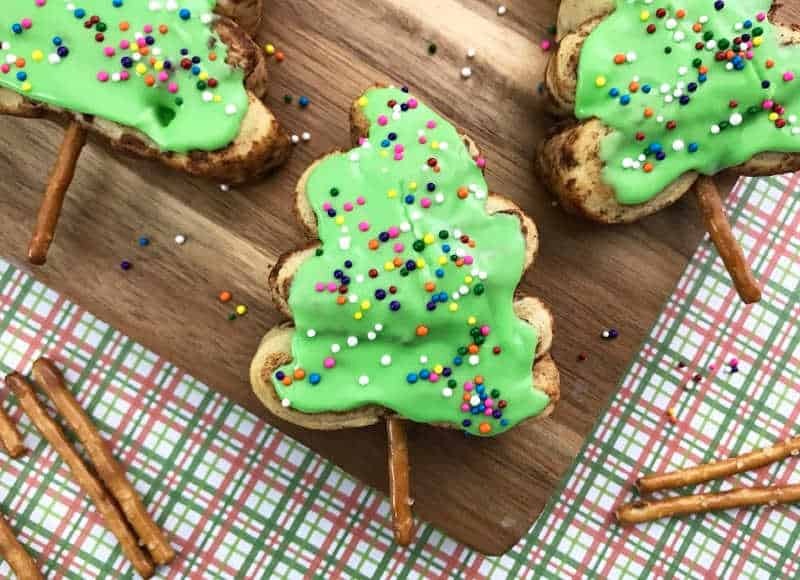 They are super simple and easy to make so even if you're exhausted on Christmas morning, your family will still have a fun and festive Christmas breakfast. And if you have more energy for Christmas breakfast, check out our Slow Cooker French Toast or Cast Iron Butter Pecan French Toast Skillet. Both make excellent Christmas breakfasts. 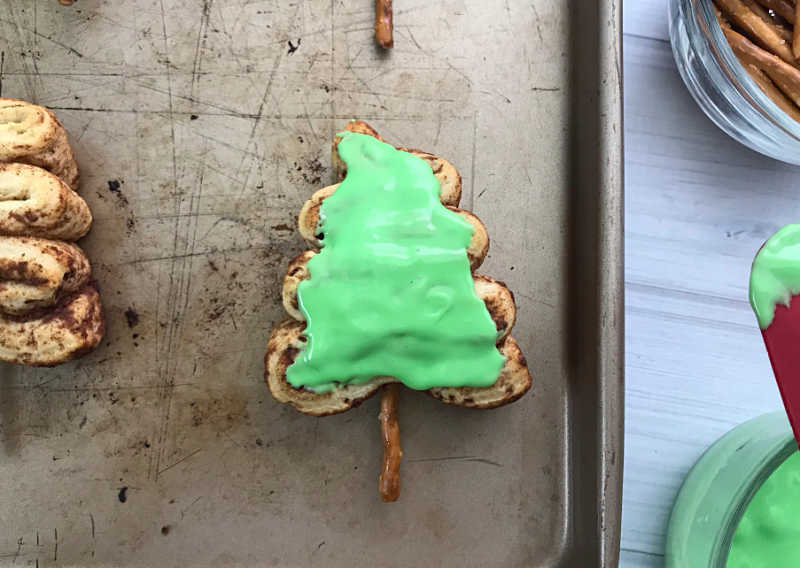 The best part of these cinnamon roll Christmas trees are how easy they are to make. You will need an 8-10 ct can of cinnamon rolls; green food coloring; small pretzel sticks and sprinkles. 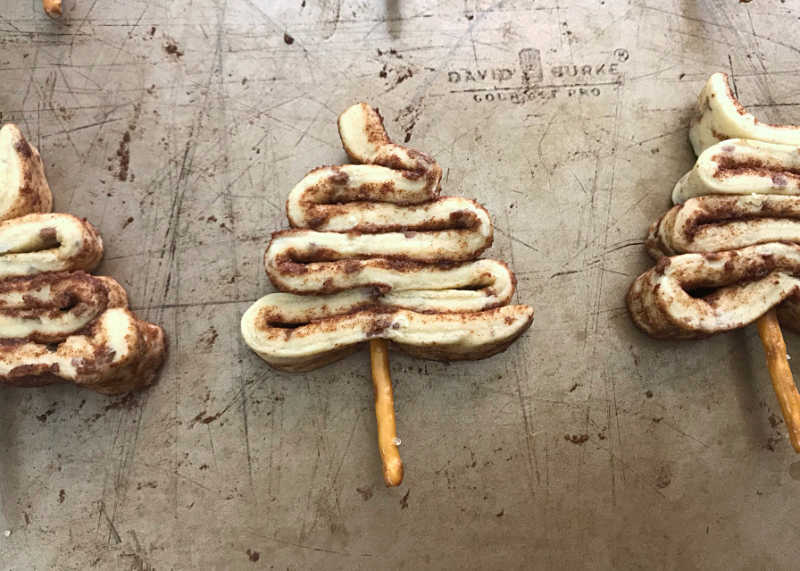 These are the same basic supplies you need to make our cinnamon roll Christmas tree, too, if you prefer one large tree to several small ones. After several tests of canned cinnamon rolls, we found that paying the extra money for Annie's Cinnamon Rolls is worth the cost. 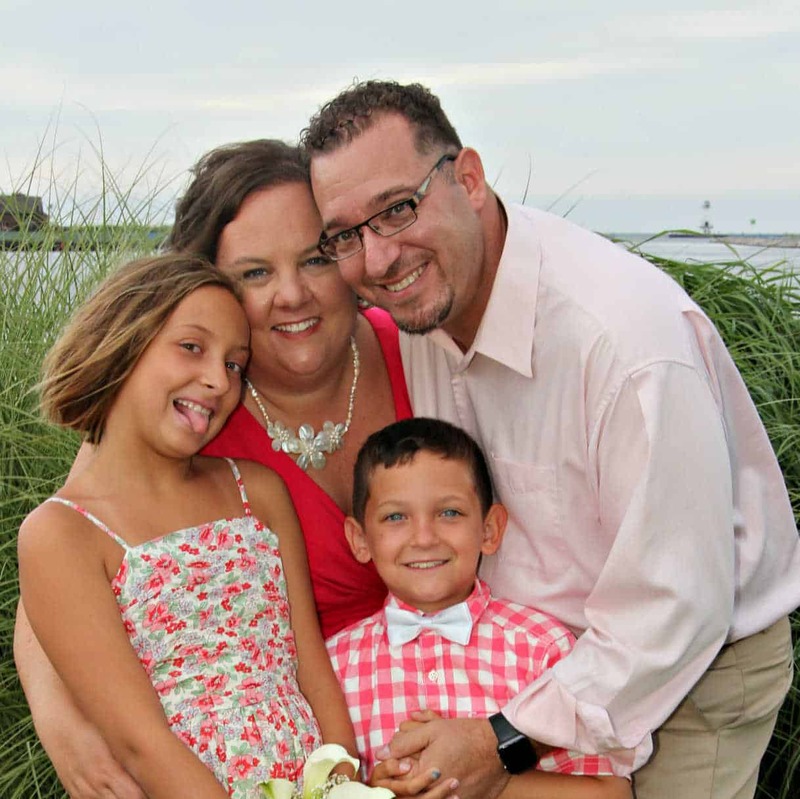 Annie's bakes up bigger and sturdier than other brands we tried. But of course you can use any brand you prefer. They all work just fine. Begin by preheating the oven to 350 degrees. Open the can of cinnamon rolls and discard the packaging. Remove the packages of icing that come with the cinnamon rolls and set them aside for later. Next, carefully unroll each cinnamon roll one at a time. Then gently fold it back and forth onto a baking sheet to look like a Christmas tree. Repeat with each cinnamon roll making sure to leave space between each cinnamon roll tree as they will spread a little as they bake. 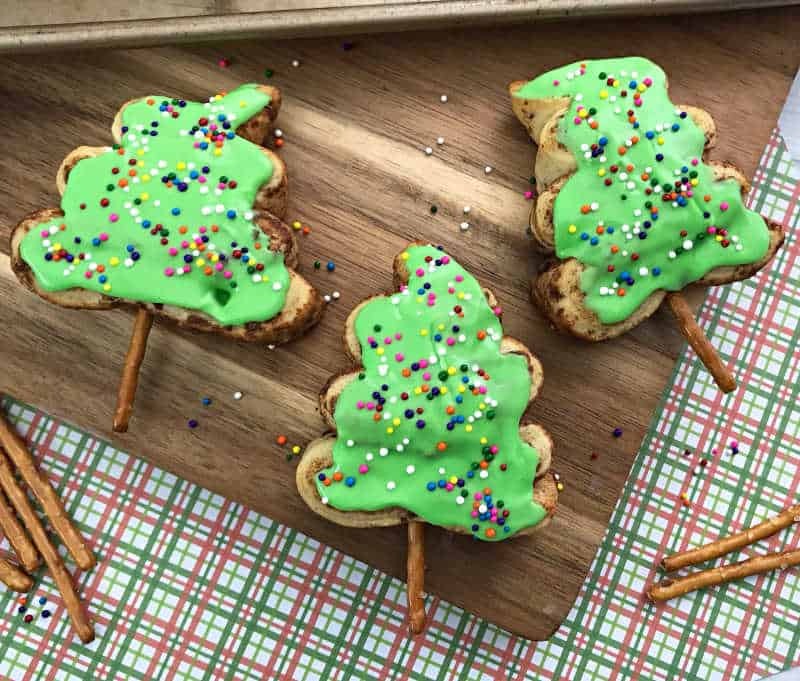 Once all the rolls are made into trees, insert a small pretzel stick into the base of each Christmas tree. 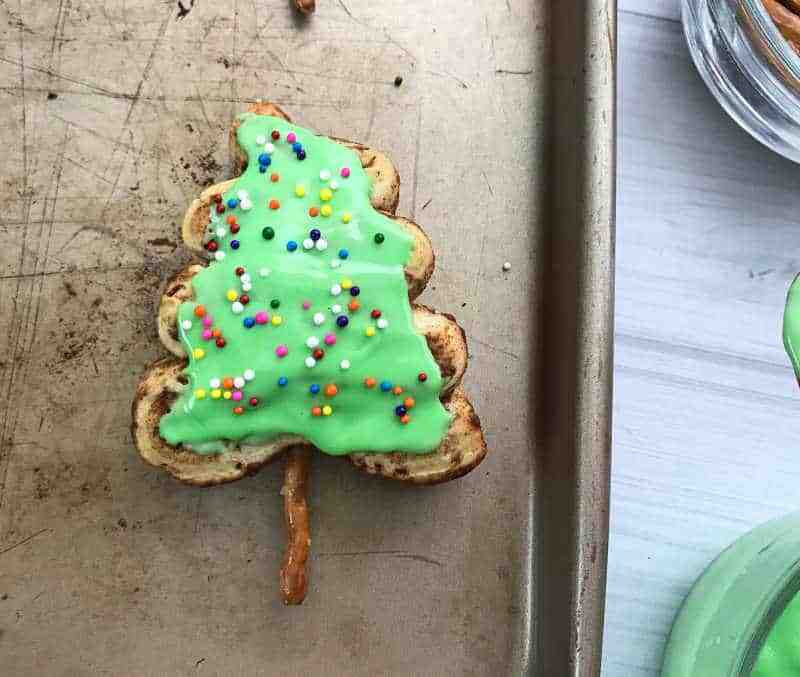 Once the oven reaches 350 degrees, slide in the sheet of Christmas trees and bake for 12-14 minutes. 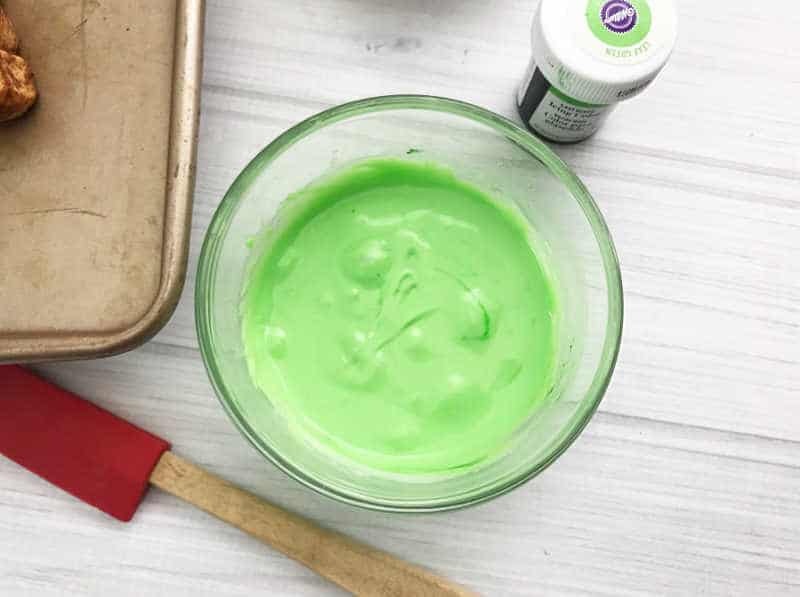 While the cinnamon rolls are baking, squeeze the icing into a small dish and add a few drops of green food coloring. 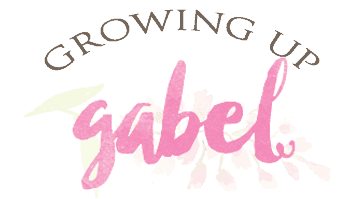 We prefer to use a gel food coloring as the colors are brighter and stronger. Stir to mix. Add more food coloring if needed until you get the color green you like. When the cinnamon rolls are done baking, they will be browned around the edges and cooked in the middle. Remove from the oven and allow to cool. You don't want to put the icing on the rolls when they are too warm or the icing will melt. Once the rolls are cooled gently spread the icing over the warm cinnamon rolls. Sprinkle each cinnamon roll with multicolored or holiday sprinkles. 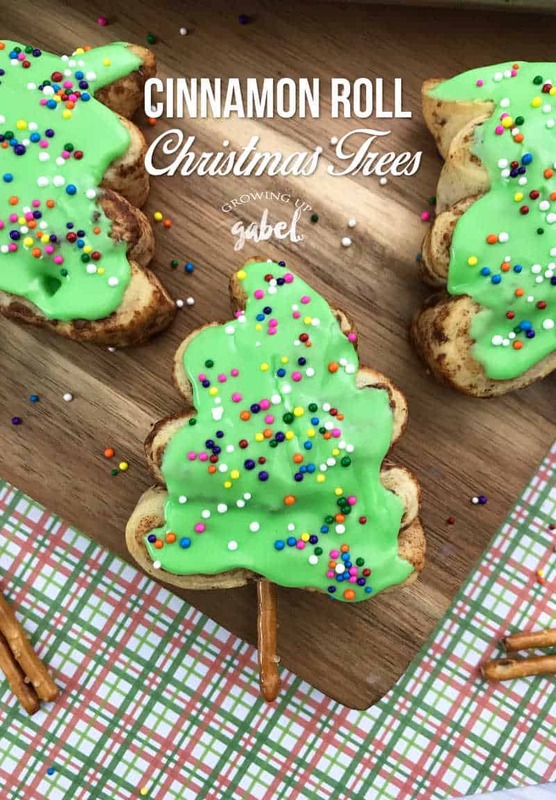 Turn canned cinnamon rolls in to Christmas trees with this easy cinnamon roll Christmas trees recipe.